His massive sword stems from the secretive vampire fighting style know as "Daytora" which means-power from the ancients. The style is normally reserved for full vampires, and those of elder blood at that. Only a few remain that understand the combat style fully. 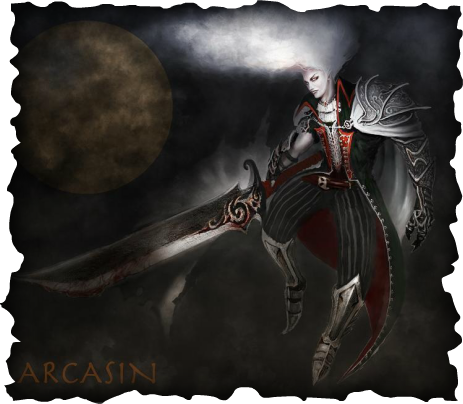 Arcasin's father was an ancient vampire, and taught him the vicious style of offensive combat. It teaches to abandon defense for hyper aggressive attacks, bashing through feeble shields and driving an opponent's block attempt straight through their bodies. Arcasin has a savage thirst for human blood despite being only half vampire, yet he remains sympathetic to his human mother's family. 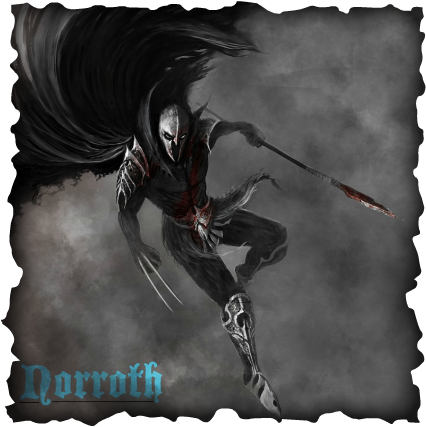 Unlike other vampire hybrids that enjoy the advantages of both bloodlines, Norroth only received partial sunlight tolerance. As a child, he and his mother's vampire lineage was exposed by humans and they were forced to perform the religious "Unity of Light." They endured the sunlight slowly, stripping away their articles of clothing until death. Norroth's partial sunlight tolerance spared his life, but his full blooded vampire mother was not as fortunate. After nearly a week of torture, Norroth's skin was charred black to point of full sunlight resistance. He was eventually found by the elite ghostly vampire clan known as The Devos, the Legion's vampire rangers of the winter tundra. There he was raised as one of their own and trained in the clan's arts of war, specifically spear combat and close quarter tactics. Vespia is part human witch, half vampire assassin that hails from the elite Sarrel forest, now working as a mercenary for the right price. She was once a call girl that served the vampire aristocrats until she was brutally raped and tortured for her partial human bloodline. Unfortunately for her tormentors, her human mother was a sorcerer that could wield the power of ice. Vespia inherited this, and in her rage she calls upon this lineage to create anything from ice blades to arrows, and even small storms that blanket enemies with shrapnel of ice. 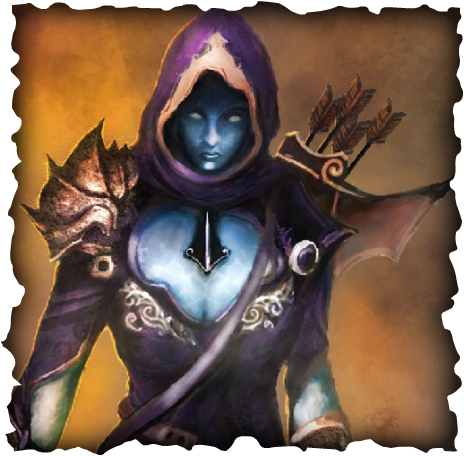 After being arrested for killing her wealthy tormentors, she was rescued by Romel, leader of the assassins in Sarrel for her unique abilities. By far the most feared assassin in Iden, Vespia has earned the nickname "The Blue Widow." The Brood are a cousin to the vampire, a more primal branch their evolution took millions of years ago. The Brood are in hibernation until the warmest summers every 21 years, melting the snow-caps in Iden and awakening the Brood in their mountain slumber. The brood typically don't attack vampires, but much has changed greatly since their last awakening. 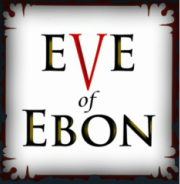 During the week of Ebon, the Brood fill the day sky with enough numbers to blot out the sun at times. 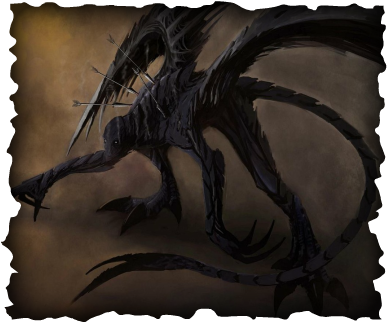 Physically the Brood are massive, quick, and powerful winged creatures that can take alot of abuse. Their exoskeleton provides protection against most forms of attack. Their only known weaknesses is fire.